One of the keys to this interactivity is the animations, so you’ll need to apply an entrance and exit animation to both objects. On the Storyline ribbon, click on the “Animations” tab to add animations to each object. For the pentagon, add a “Fly In” entrance animation and, under Effect Options, make sure it flies in from the top. Next, add a “Fly Out” exit animation to the pentagon. Again, under Effect Options, make sure it flies out to the top. Leave the default duration to 00.75 for both animations. We’ll also add a “Fade” entrance and exit animation to our start button. Leave the default duration of both animations to 00.75. Almost done! Now you just need to set up the three triggers that will execute this. To remove the two default player triggers that appear in the triggers panel, go into your slide properties (by clicking the widget icon next to the slide name in the slide layers panel) and uncheck the option for Next and Prev under slide navigation controls. With a clean slate in the triggers panel, you’re ready to add the three triggers that will make this interactive. And now you can preview your project and see your interactivity at work! Remember: it’s all about using the cue point to pause the timeline, and then resuming it right before the exit animations happen. Let me know in the comments how it turned out for you! One problem with this is when you would add background music or narration to your slide. 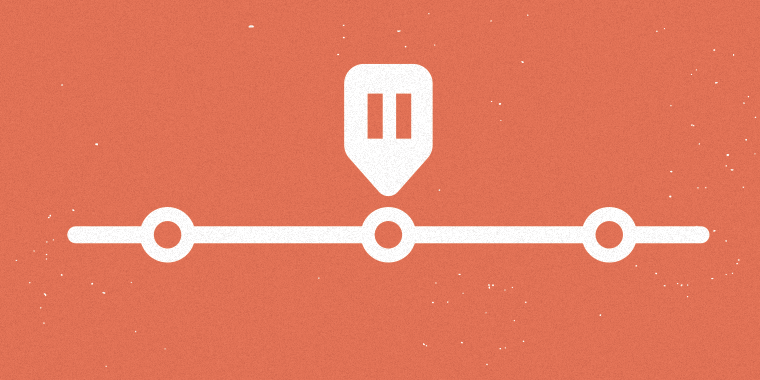 Once the pause timeline on cue point triggers, it also pauses the background music or the narration on your slide. This is even when you place the music/narration on the master slide. Good point Luis. What you can do to overcome that though is to put the audio/soundtrack on the slide and repeat Nicole's example above on a layer (lets call it "Layer1"). Just make sure you pause the timeline on the layer not the slide. The only other trigger you would need to add is one on the main slide that says 'Show "Layer1" at beginning of timeline' - same effect and your audio will continue underneath :) Thanks for sharing Nicole! Hello Matt, thank you for your reply :) I have not tried this approach. But I will give it a try. With the same principle, could you place the audio on a layer instead of the objects that would animate? I would try it myself but I am a bit loaded right now. Unfortunately not. I did a quick test and once you pause the main slide, everything pauses; including any layers.